Veneer and Lumineer are a thin layer of custom-made porcelain that is placed on the visible fron surface of the tooth, either to improve the aesthetic of a tooth or to protect the damage tooth surface. Veneer and lumineer are important tools to restore a single tooth or multiple teeth that may have been fractured or discolored or in some instances aligning the teeth that may be crooked. With proper care and good oral hygiene Veneer and Lumineer have a great life span. A dental implant is an artificial root that is placed in the bone to replace one or multiple missing teeth. The placement of an implant requires a preparation into the bone. 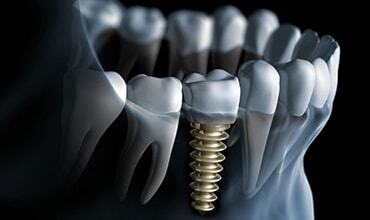 After a certain amount of time (between 2 to 6 months) that allow the bone to grow on to the surface of the implant, a crown can be placed on the implant. The amount of time required to place an implant will varry depending on several factors such as quality and quantity of the bone. A whiter, brighter smile is not only beautiful but it can also help you feel better about yourself and have a memorable impression. 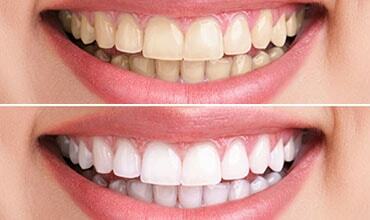 ZOOM is a bleaching process that lightens the discolored teeth. The complete procedure takes a little over an hour. The procedure begins with a period of preparation of teeth and gum followed by 60 minutes (three 20 minutes intervals) of bleaching. 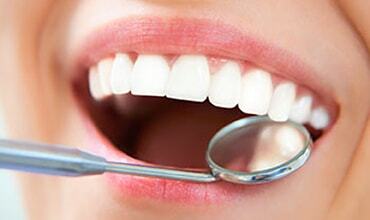 A dental crown restores a tooth’s shape, size, and strength. It fully encases the visible portion of your tooth or dental implant. Your Dentist will recommend the best type of crown for your dental restoration needs based on the chewing placement and structure of the tooth or implant that requires protection. 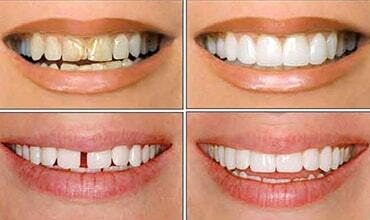 A bridge is a dental restoration used to replace one or more missing teeth. Bridge is bonded to the teeth on either side of the missing tooth or teeth. 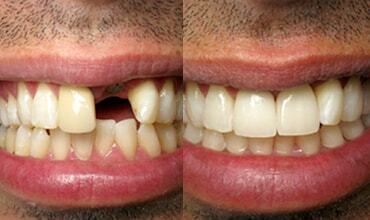 Once crown or bridge is permanently bonded in place, only a Dentist or Specialist can remove it. There are three types of crown and bridge: Full Porcelain, Full Metal, Porcelain Fused to Metal. A root canal is the space within the root of a tooth that is filled with pulp tissue (nerves and blood supply). In a situation that a tooth is badly decayed or cracked that involves the pulp tissue, a removal of the pulp tissue (root canal treatment) is performed in order to save the tooth. To do sothe dentist drills into the pulp chamber and removes the pulp tissue. After this is done, the dentist fills each of the root canals with an inert material (gutta percha) and seals up the opening. 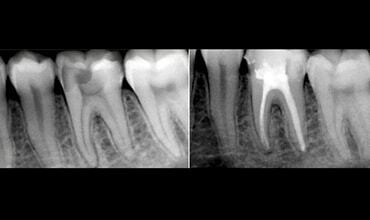 After completion of the rooth canal in most cases the tooth is fitted with a crown to increase its longavity.